Overall size is 30x26mm. Shown with bloodstone. 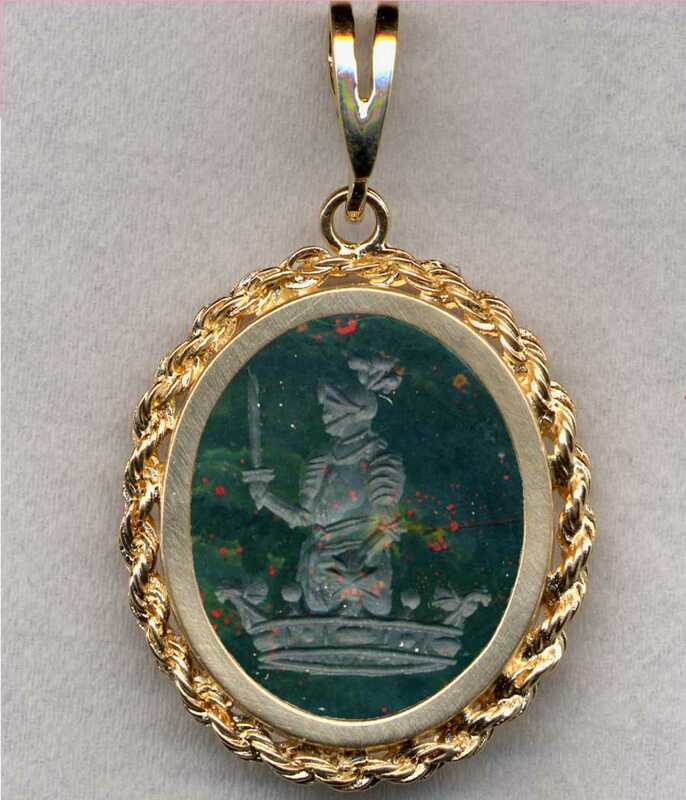 Man In Armour Holding Sword Out Of A Coronet. Due to its size, this pendant is not available with bicolor agate.